Lawrenceburg Glass now introduces Quaker Windows into our product line. 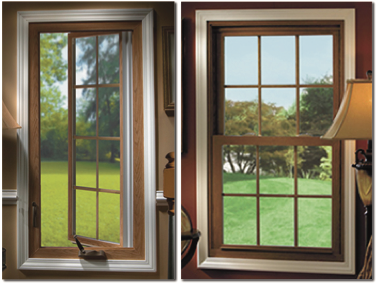 Quaker Windows are one of the most respected vinyl replacement window brands in the U.S.A. Lawrenceburg Glass has been installing custom-made windows to help homeowners save on energy costs and create better living environments for years. We want you to feel confident that you’re making a sound decision when you select Quaker Windows from Lawrenceburg Glass. Lawrenceburg Glass will provide you with the best, high-performing windows in the industry. And because our window products are individually hand crafted, they are custom made to specifically fit your home. Quaker AdvantEDGE windows carry a Limited Lifetime Warranty. Quaker has almost 70 years of proven experience and customer satisfaction behind them. That’s a combination rarely found these days. The AdvantEDGE windows are available in different operating and fixed styles, each with terrific attributes. 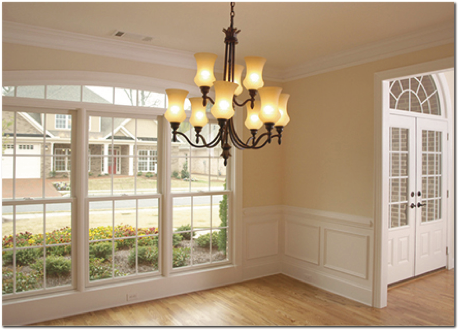 They come in Single Hung, Double Hung, Casement, Awning, Slider, and Picture Windows. 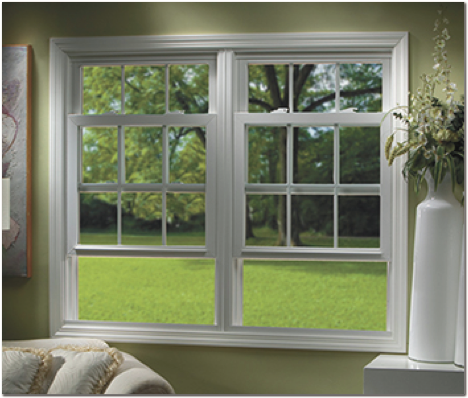 The AdvantEDGE windows come in three interior colors White, Sandstone, Beige as well as a wood grain option. 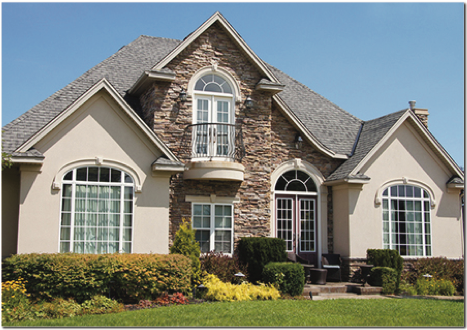 Exterior colors for our AdvantEDGE windows are immediately available in White, Beige, Sandstone. However, the AdvantEDGE offers you something that many vinyl replacement windows cannot: a painted exterior. From White to Black, 12 Popular exterior painted vinyl colors White, Beige, Sandstone, Metallic Grey, Satin Crème, Toffee, Holly, Redwood, Chestnut, Earthtone, Dark Bronze, Black. Quaker’s affiliation as an Energy Star partner and member of the Window & Door Manufacturers Association (WDMA) support Quaker’s commitment to longevity, excellence, and customer care. Quaker products adhere to standards set forth by the foremost governing bodies in the windows and door industry including A.A.M.A. and N.F.R.C. You have trusted Lawrenceburg Glass for three decades for all your other glass needs. Let us install your energy efficient windows with the same highly skilled employees and quality materials.